The bracket can be produced to fit most radiator brands and radiator heights. It grips onto the welded hangers on the back of the radiator. The bracket is equipped with an automatic blockage device for unintentional lift-off. 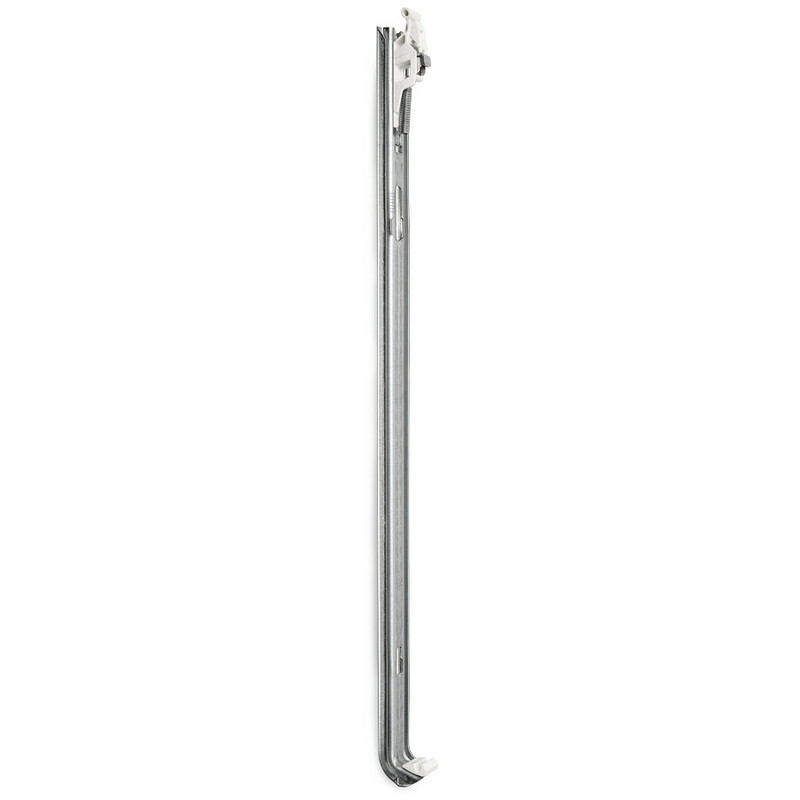 Wall – hanger: 27 mm as standard. Contact us for special measurements. The bracket top part is made from galvanised sheet steel 1.25 mm in combination with fibreglass reinforced plastic. The bracket rail is made from galvanised sheet steel 1.5 mm, alternatively plain sheet steel 1.5 mm for powder coating. There is a plastic inlay in the bracket foot. The brackets are delivered loosely packed in boxes or in shrink film wrapped sets, with or without accessories. All packing material is recyclable. The package could be labeled according customer requirements. MONCLAC wall bracket is tested and approved by TÜV (German testing institute). All our brackets are tested in accordance with the new German recommended standards VDI 6036. Test protocols can be provided when needed. As all MONCLAC brackets are made to fit different radiator brands, contact us for information regarding your radiator, and ask for drawings and quotations.